I‘m on fire; after completing episode I, I started and completed Episode II in one go and boy, was I surprised. This game is what episode I should have been. Everything is improved, definitely a better episode. 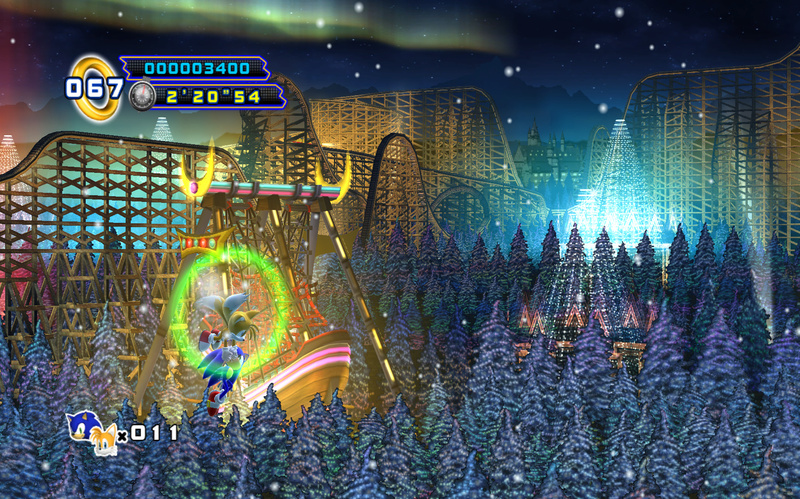 The graphics are improved with better textures and colors. The options now allow for higher resolution as well. Not to say this is running on another engine but things has improved. 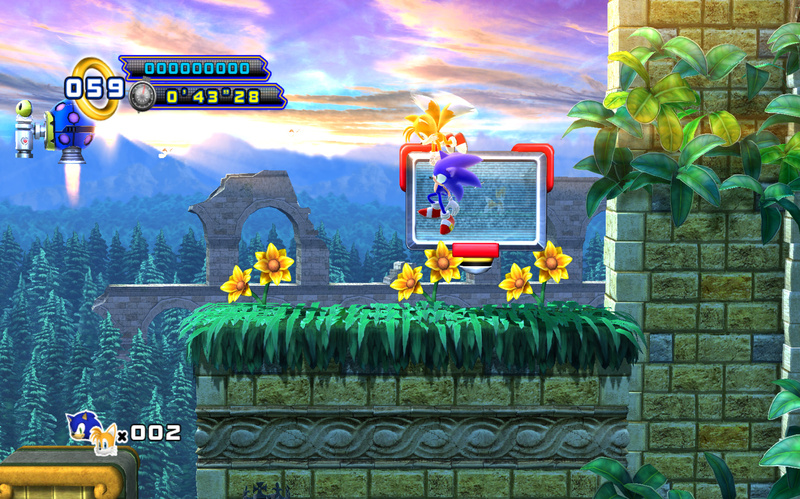 More 3D objects in the backgrounds, jumping back and fourth inside the picture makes the game feel more 3D while keeping the 2D game play intact. Once again, not a game changer but a welcome addition to an already improved game. 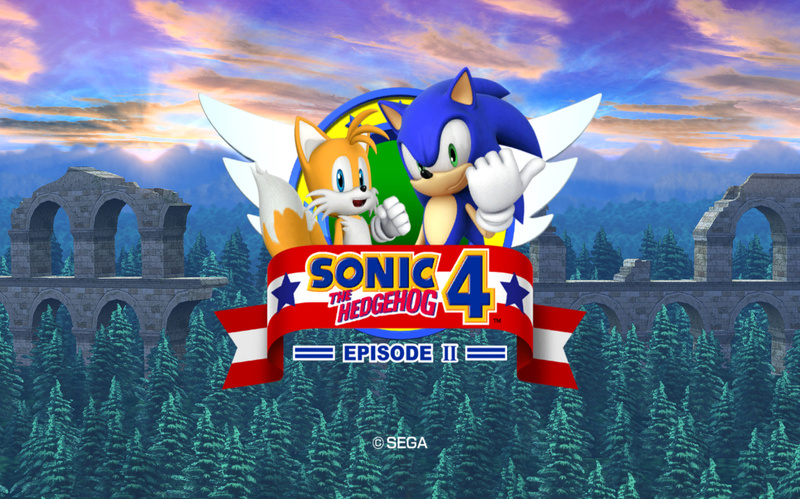 The picture above is something I wanted ever since Sonic the Hedgehog 2, finally introduced in Episode II. You can now tag along with Tails “controlled by the game or player 2” and preform combined moves like flaying and destroying enemies. The stages look better and smother as well as the whole game. Each stage looks unique and well designed and unlikely episode I, interesting. Sonic now runs in a much believable way unlike the first episode. New type of enemies and stage obstacles were one of the welcomed additions as well. There is one annoying part however, just like episode I; some parts of the stage are very hard. Don’t get me wrong, I love challenging games but these parts feel over powered and annoying. Rest assure, they are in small number and rare. Apart from that, the game looks good and plays good. 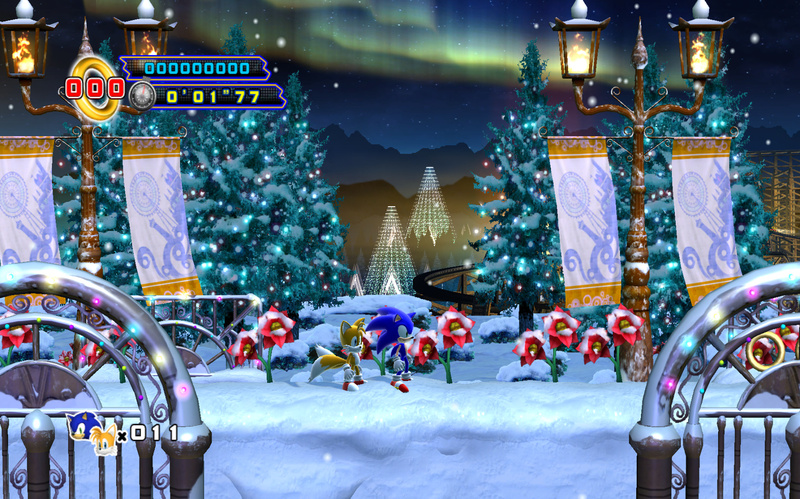 The game sounds did not change, however the music is better and have Sega feel to it like the nights into dreams alike stage above. Nothing significant to report here. A much better Episode than the first. A must play for any Sega Sonic fan. 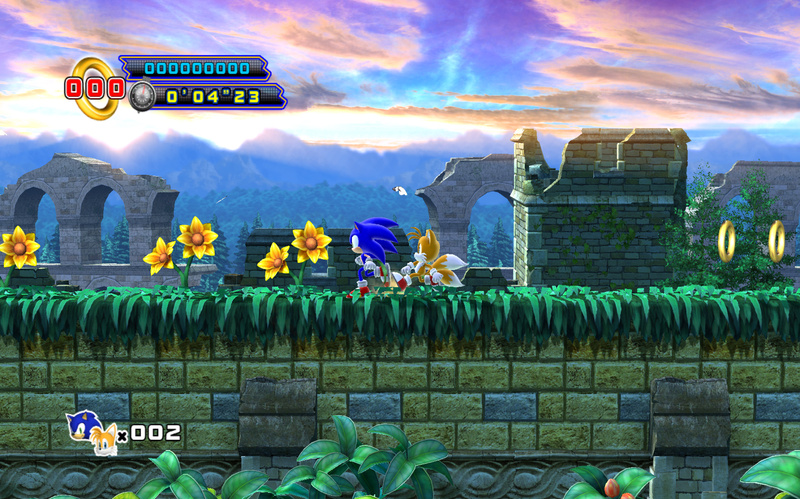 Unlikely Episode I, this game looks and feels like a new chapter and not a mega drive Sonic remake. Get it dirt cheap on any platform including the IOS which I will review sometime in the feature.